Hello there! 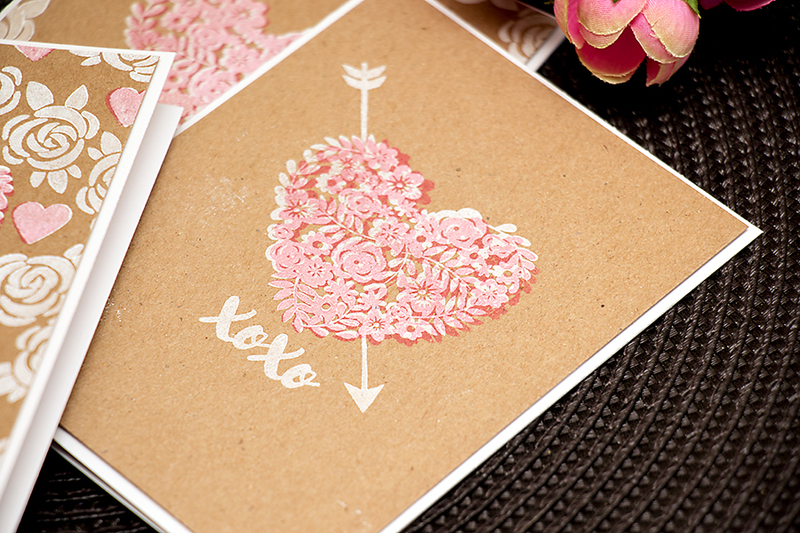 Do you like to use kraft paper for your cards? I simply adore this type of paper for the endless possibilities it provides. My current favorite way to use it? Double stamping using two different colors of ink. I have three cards to share today, all stamped on kraft paper. Almost all identical with a small variation in design. I used two types of ink to stamp those – pigment and dye. I love to mute dye inks with the help of a white pigment ink. Its a such a technique. Check out this video where I used white pigment ink to mute bottom layer of Color Layering Fish images. I used Hero Arts Unicorn White and also Hero Arts Pink Dye ink for my stamping. 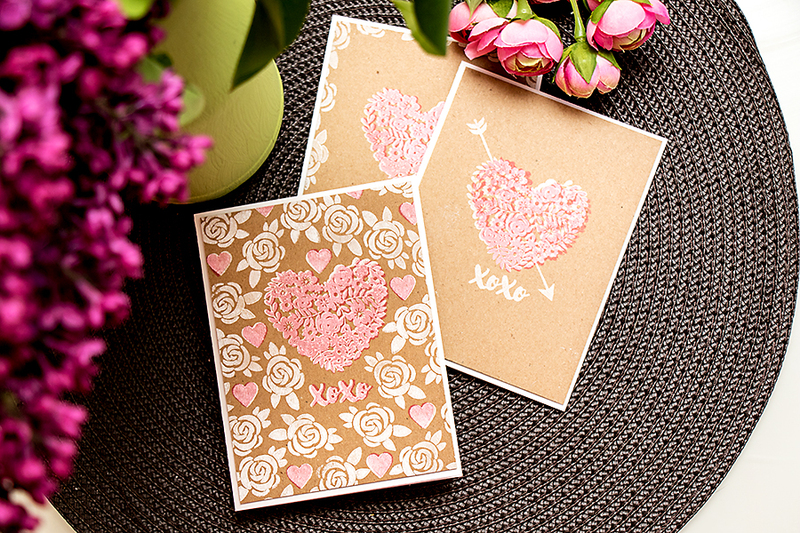 I first stamped images in white and later highlighted a few using pink. I offset them just a bit to create a drop shadow effect and some color variation. Love the way it turned out! This post was updated on July 23rd 2016.
holy moly, these are beautiful Yana! 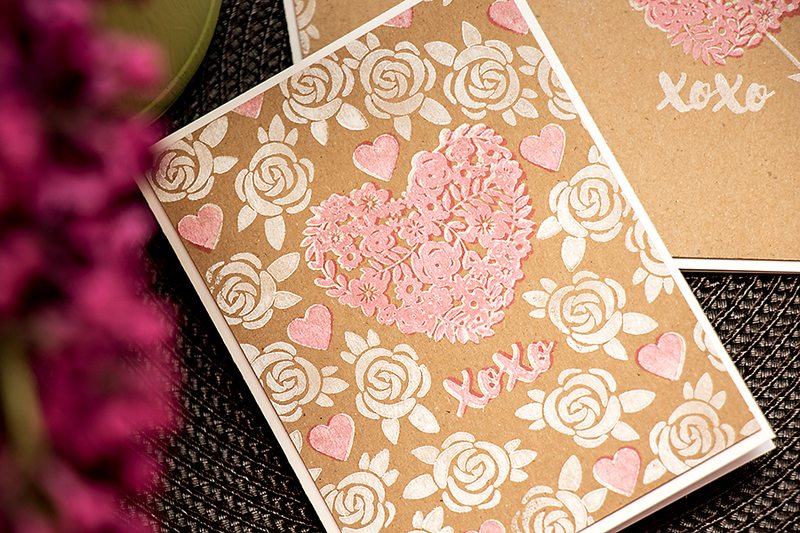 i just love the muted look of the pink on the kraft paper. You are so talented, i love seeing all your projects! thank you so much, Nina-Marie!